Native American Contributions to the U.S. 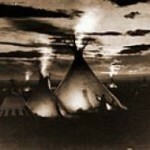 Native American / American Indian Blog by Partnership With Native Americans | Native American Contributions to the U.S.
· Conservation: The Native Americans have always held a deep respect for the land and for our connection to this planet known as “Mother Earth.” They have always strived to live in harmony with the seasons and the land, to take only what was needed, and to thank every plant, animal, or thing that was used. They were conservationists and ecologists long before this became popular. In fact, the Anishinaabe do not have a word for “conservation,” because it was an assumed way of life. · Honoring the Children: We have talked previously about tribes viewing children as their future, about grandparents raising grandchildren, and about looking at the impact of their decisions seven generations into the future. A tribal administrator from the Hopi Reservation told us that, for his people, children come first. If a child is upset or has a need, it is the responsibility of whomever sees the child to address the child’s need. They are that important. 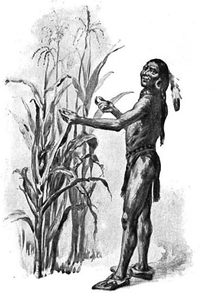 · Traditional Foods: Many people are turning back to the natural foods that were once the mainstay of indigenous people – and that once helped the early settlers survive: potatoes, beans, corn, peanuts, pumpkins, tomatoes, squash, peppers, nuts, melons, and sunflower seeds. Other raw foods now considered “traditional foods” in Native cultures still grow abundantly on some reservations and provide a sustainable source of variety in the diet. Examples are the tinpsula (edible wild turnips), choke cherries, buffalo berries, wild currants, gooseberries, wild turnips, and more. Today, 60% of the world’s food supply comes from American Indian agricultural methods, primarily those for corn and the so-called “Irish” potatoes. · The First Thanksgiving: Native Americans shared many of the foods mentioned above with early European settlers to help them survive. They also taught settlers farming methods to grow these crops and the Wampanoags shared a harvest meal with the Europeans at “the first Thanksgiving.” To this day, Virginia tribes still bring two deer and a turkey to the home of the Governor of Virginia at Thanksgiving. 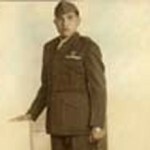 · Military Service: The participation rate of Native Americans in military service is higher than for any other ethnic group in the U.S. Members from many Indian nations have served with distinction and in a way that helped the U.S. win World Wars I and II… through the use of their various Native languages. Their proud military service has continued to be important in the wartime conflicts of Korea, Vietnam, Desert Storm, and Iraq. · Constitution & Bill of Rights: According to Benjamin Franklin, the “concept” for the federal government was influenced by the Constitution of the Iroquois League of Nations. The Iroquois had a written Constitution that had been in use for ages and is still in use today. The concept the U.S. adopted was that certain powers are given to a centralized government and all other powers are reserved for localized groups (in this case states). · Sign Language: Today, hand signals are used to communicate with those who are deaf and/or mute. A similar system was originated to facilitate trade between Native Americans and early trappers/traders. Although the hand signals in use today are different, the concept behind them is the same. · English Language: Many of the words used in our everyday language originated with Native Americans. Examples are barbecue, caribou, chipmunk, woodchuck, hammock, toboggan, skunk, mahogany, hurricane, and moccasin. Many towns, cities and rivers also have names of Native origin, such as Seattle, Spokane, Yakima, Pocatello, Chinook, Flathead Lake, Milwaukee, Ottawa, Miami, Wichita, and Kalispell. 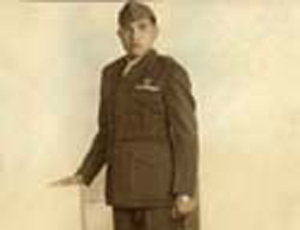 · Star Athletes/Entertainers: Folks who readily come to mind include athletes Jim Thorpe and Billy Mills, ballerina Maria Tallchief, entertainer Will Rogers, and actors Floyd Red Crow Westerman, Wes Studi, Adam Beach, and recently Taylor Lautner (Twilight). They are but a few of the many greats. 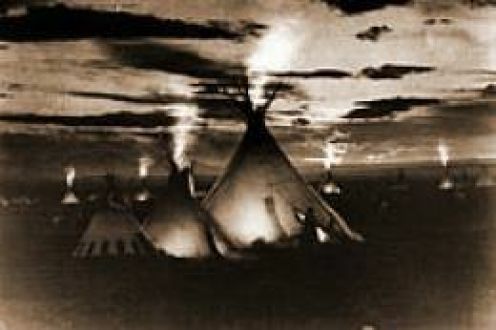 · Products: American Indians are credited with introducing such diverse products as snowshoes, moccasins, toboggans, buckskin jackets, Kayaks, cradle boards, tomahawks, rubber, cotton, quinine, tobacco, cigars, and pipe smoking, among others. · Art/Design: The traditional and contemporary music of Native Americans have become integrated in many other cultures and musical styles. Indian artwork such as paintings, beadwork, totem poles, turquoise jewelry, and silversmithing, all remain beautiful and unmatched in this society. The architecture of tribal facilities on the reservations is also strikingly beautiful and practical for Native traditions and culture. One example is the simple power of a circular room to make all feel welcome and included. It’s inspiring. With some research, I’m sure the list of Native American contributions would impact every facet and walk of life. This entry was posted in Humanitarian and tagged American Indian Heritage Day, Benjamin Franklin, indigenous, Iraq, Jim Thorpe, Native American Day, sign language, Taylor Lautner, veterans. Bookmark the permalink. Post a comment or leave a trackback: Trackback URL. & wished to say that I have really enjoyed browsing your blog posts. Your information on contributions of American Indians was very good. There are those who do not have a clue as to what the native people have contributed that they use everyday. Native American Day humm! while I do appreciate the jest and for those that can benefit from it that is great, but I have strong feelings in what goes on behind some of the gestures that the government hands us, what about those native people who are living in poverty are they celebrating Native American Day? just saying. Hello to every body, it’s my first visit of this webpage; this weblog consists of awesome and really excellent material in support of readers. Hi there to all, the contents existing at this web site are in fact awesome for people to experience, well, keep up the good work fellows. This helped me in my research. Thanks for the information.